« New Mats at Godai Judo, Grand Rapids! Our judo students completed a joint clinic with teams from Rosebud,Pine Ridge and Rapid City,S.D. The First Annual Judo Dakota Spring Rendezvous on May 7,2011. The event was sponsored by the Black Hills Judo/Karate Club. 20 participating students and 3 Senseis attended. Everyone enjoyed the clinic. 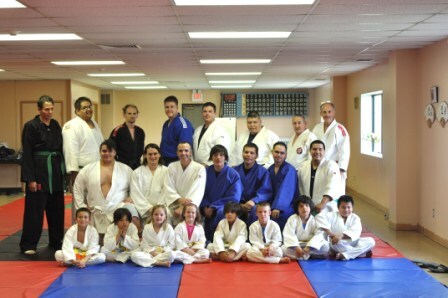 The St. Francis Bushido Dojo is planning to go to the clinic in Oct. 2011. Now we are practicing hard for the Indigenous Games in Milwaukee. This entry was posted on May 10, 2011 at 7:54 am and is filed under Uncategorized. You can follow any responses to this entry through the RSS 2.0 feed. You can leave a response, or trackback from your own site.